That's bakeable, luscious content —available exclusively from PC Gamer! When PC Gamer first chatted with GLaDOS voice actress Ellen McLain after the release of the original Portal, our conversation with the affable, multi-talented award-winner naturally turned to baked goods. As a native Southerner, McLain is naturally fond of Red Velvet Cake . 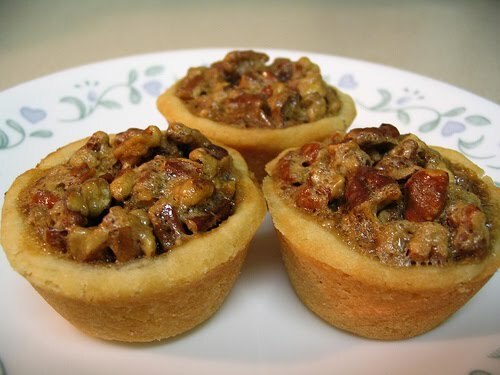 But when she goes into the kitchen, what comes out is a plate of delicious, toasty, aromatic Pecan Tassies . Now PC Gamer is proud to present the very first Portal 2 BLC: Ellen McLain's own recipe for Pecan Tassies. We recommend baking four batches over the weekend and enjoying them in frequent breaks between co-op missions. Combine cream cheese and butter. Blend in flour. Chill about one hour. Shape into balls about one inch in diameter and press into tiny ungreased muffin tins. Beat egg with wooden spoon; add brown sugar, melted butter, and vanilla. Mix well and stir in pecans. Pour into prepared shells and bake at 325 degrees for about 25 minutes; cool before removing from pan.